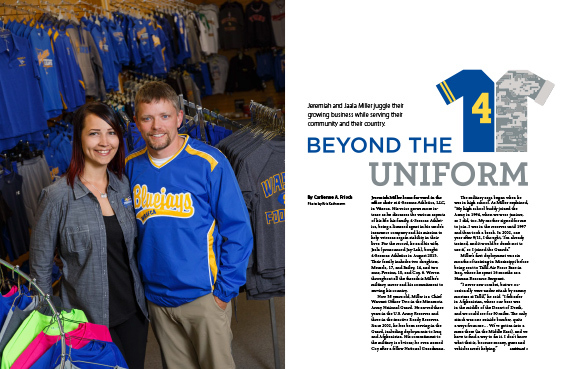 Jeremiah Miller leans forward in the office chair at 4-Seasons Athletics, LLC, in Waseca. His voice grows more intense as he discusses the various aspects of his life: his family, 4-Seasons Athletics, being a licensed agent in his uncle’s insurance company and his mission to help veterans regain stability in their lives. 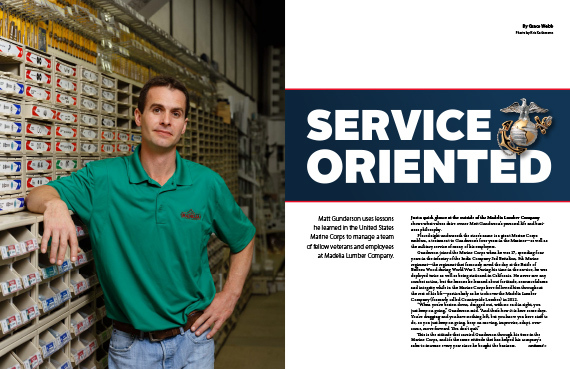 Just a quick glance at the outside of the Madelia Lumber Company shows what values drive owner Matt Gunderson’s personal life and business philosophy. Placed right underneath the store’s name is a giant Marine Corps emblem, a testament to Gunderson’s four years in the Marines—as well as the military service of many of his employees.